So you want to start saving energy, but you don’t know where to begin. Or perhaps you’ve been managing energy for years, but you’d like to take your program to the next level. Since 1991, tens of thousands of businesses and organizations have worked with EPA’s ENERGY STAR program to reduce greenhouse gas emissions and create financial value by improving the energy efficiency of their buildings and plants. Along the way, they learned what works and what doesn’t. Among the themes that have emerged over the years: Energy programs save more than energy projects. You won’t get far without a commitment from the top. In addition to starting a program, you also need a plan to sustain energy efficiency. And success depends on whether you can successfully create a culture of energy efficiency within your organization. 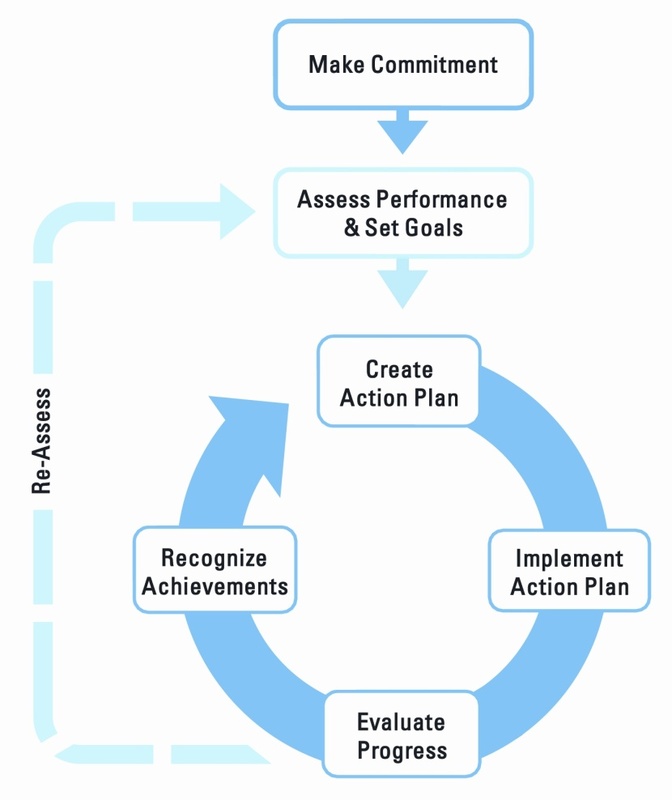 EPA consolidated best practices from thousands of organizations into one step-by-step road map for continuous improvement. Read more about the process by downloading the full ENERGY STAR Guidelines for Energy Management.